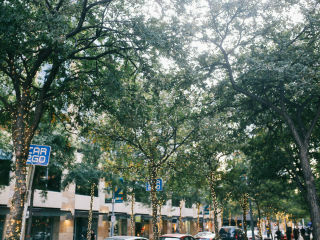 Shop, stroll, and enjoy live music presented by the Austin Music Foundation on the second Thursday of every month. The musical guest this month is Texas-raised, Aaron Stephens. Stephens will bring his funky rhythm and melodic lead guitar to the patio at Taverna. Guests can sip on refreshing beverages while shopping in-store specials from a variety of homegrown and national brands, including Sneaker Politics, Sikara, La Condesa, and more. In addition to offerings throughout the 2nd Street District, Taverna, one of Austin’s favorite neighborhood Italian restaurants, will provide a prix fixe dinner special during the community-wide event.